Been looking around for a good price on a photo frame as a present - spotted this at Currys (and PC World). Normally £34.99, down to £27.99, and right now there is an extra 10% off Christmas gifts ordered online (not reserved for instore pickup). Free standard delivery. Don't forget 1.51% (every little counts!) Top Cashback or Quidco. 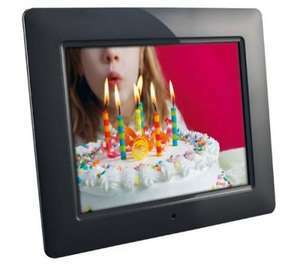 Most photo frames around this price mark tend to have a lower resolution - going rate for an 8" frame looks to be £40 up. thanks.. Ordered with a 2gb SD Card for £32.